Kristen and Missy from Sweetly Chic Events & Designs, are here sharing an easy way to glam up a monogram letter by using sequins. How great would this look as party decor at a bridal shower, baby shower, 1st birthday, or even as some bingy room decor for a girl's bedroom. Monograms are a classic trend that never go out of style! 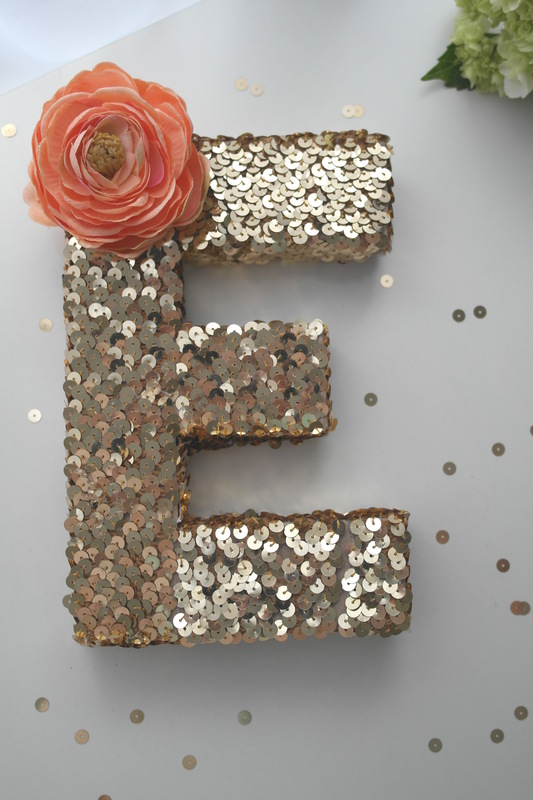 We decided to bring an element of glitz and glam to a traditional monogram by adding sequins. 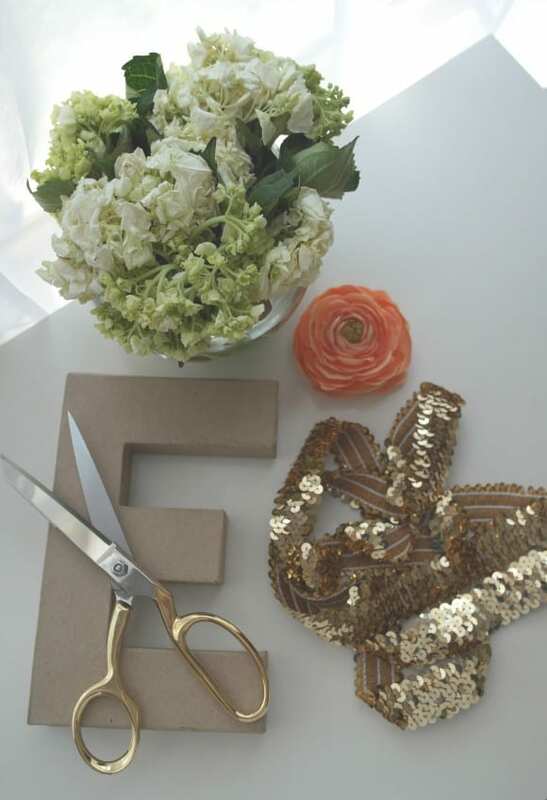 This quick and easy DIY will be sure to dazzle at your next event or bring a little fun to your home decor! 1.) 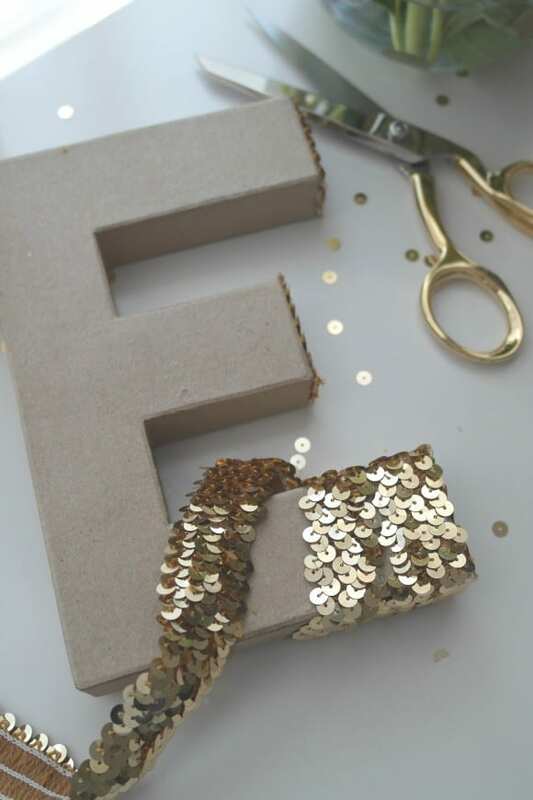 We want to start by covering up the edges of the letter, so take a strand of your elastic sequin cording and carefully cut pieces to adhere to the edges of your paper mache letter that can not be wrapped with the elastic. 2.) 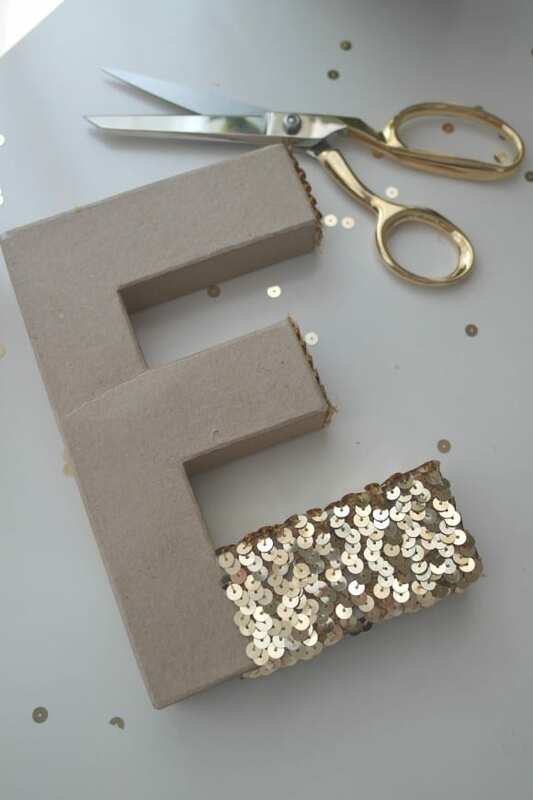 With hot glue, adhere the strands of your pre-cut elastic to any edging of the perimeter of your paper mache letter. 3.) 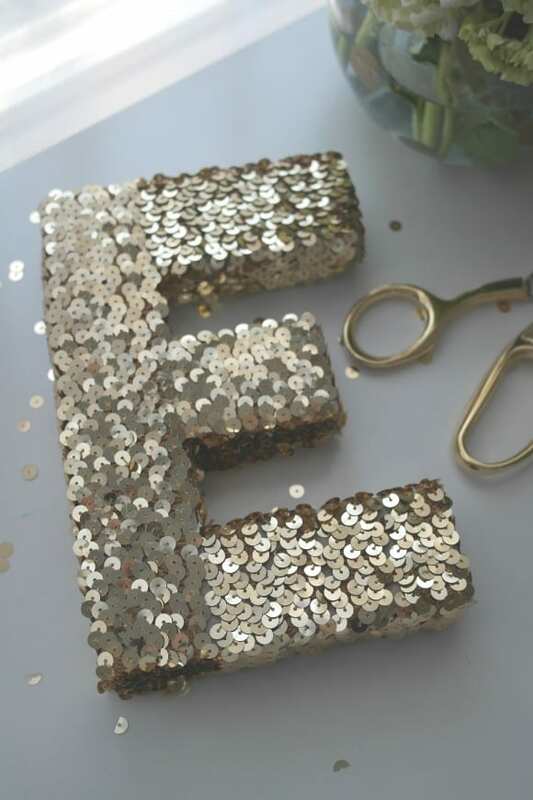 Starting at any edge of your paper mache letter, hot glue the end of your cording, starting on the back of your letter, and begin to carefully wrap the sequin band around the letter. Be sure as your wrap, there are no gaps between the layers of the cording. 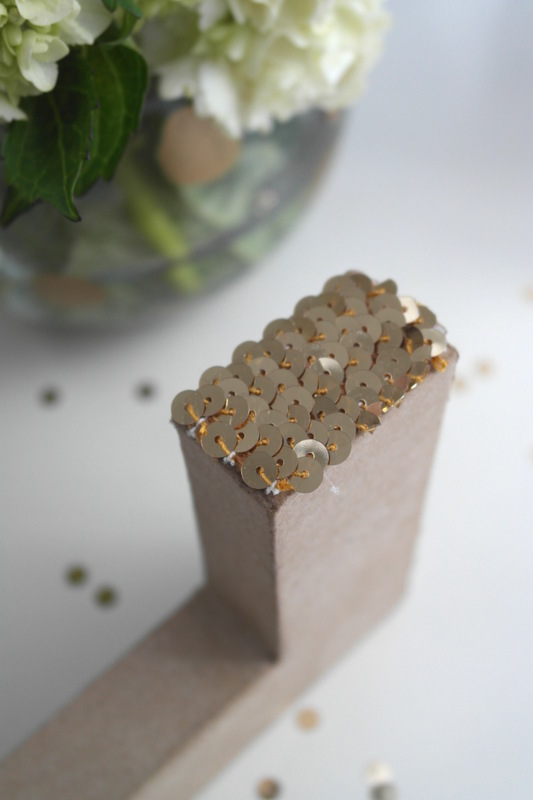 If you have some small gaps, you can easily fill them in with loose sequins. 4.) As you get to a new edge of your letter, you may need to start wrapping the cording in the opposite direction (depending on your letter of choice). 5.) We wrapped our sequins vertically along the outer edge of our letter E to save on time and to give it a smoother look. 6.) Finish wrapping any other areas of your letter. This should leave you with a fully covered letter! 7.) 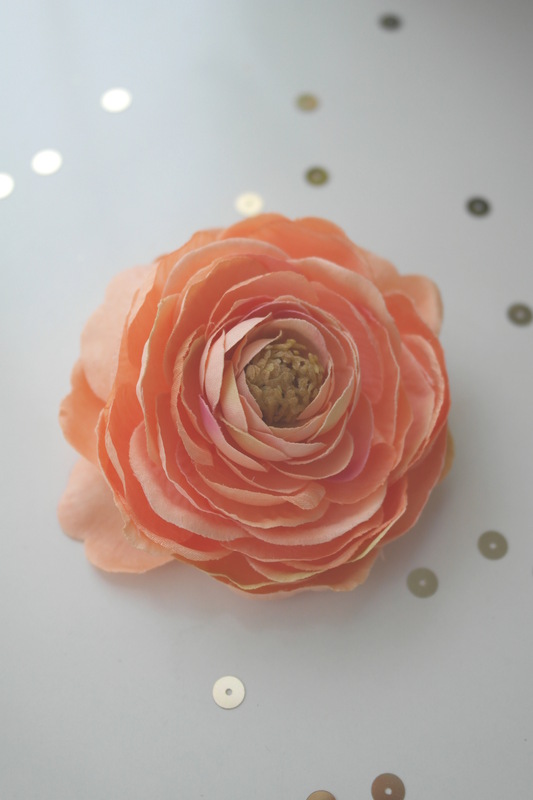 We wanted to add a little extra something to our monogram, so we decided to add a pretty coral colored silk flower for a fun detail! 8.) 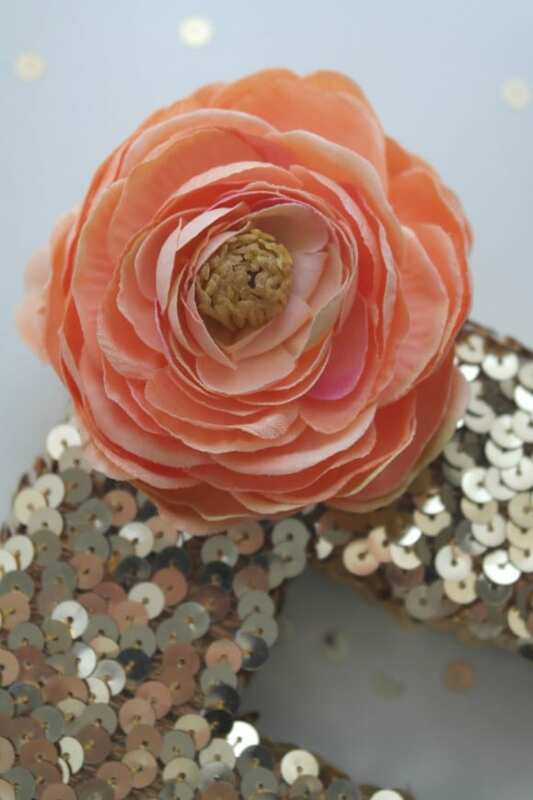 Carefully adhere your silk flower with a touch of hot glue. 9.) 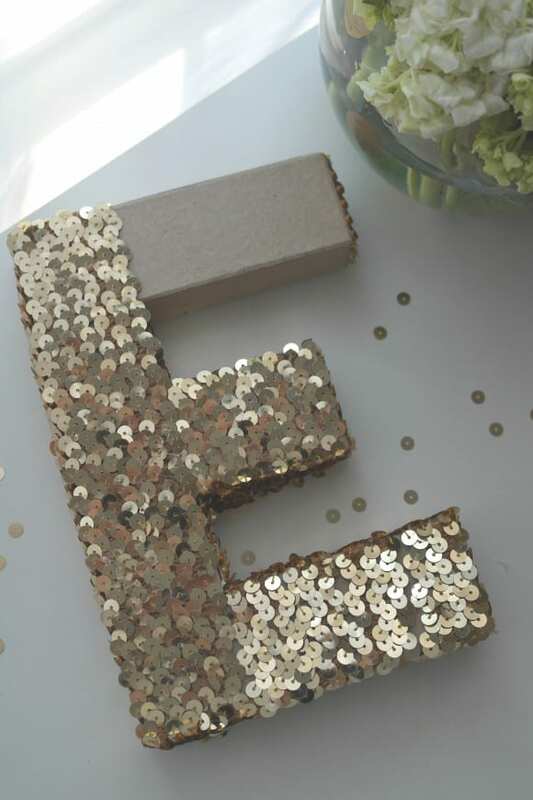 Congratulations on creating your own beautiful and fun sequin monogram, suitable for any event or as a unique piece of home decor! Thank you, Missy and Kristen, for once again sharing your boundless creativity! I would never have thought to use sequin cording... brilliant idea! 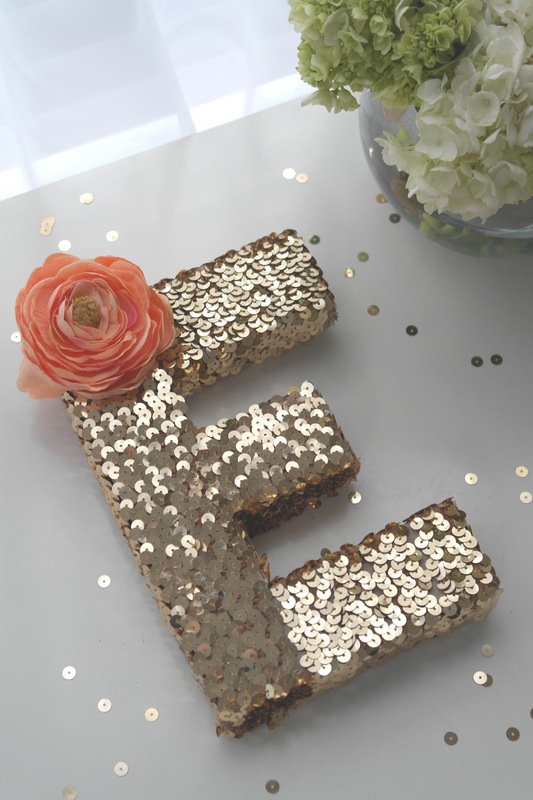 For more glitzy inspiration, check out these glam parties from our site! Love this. It turned out so chic. Can't wait to make some of these. Thank you for sharing! 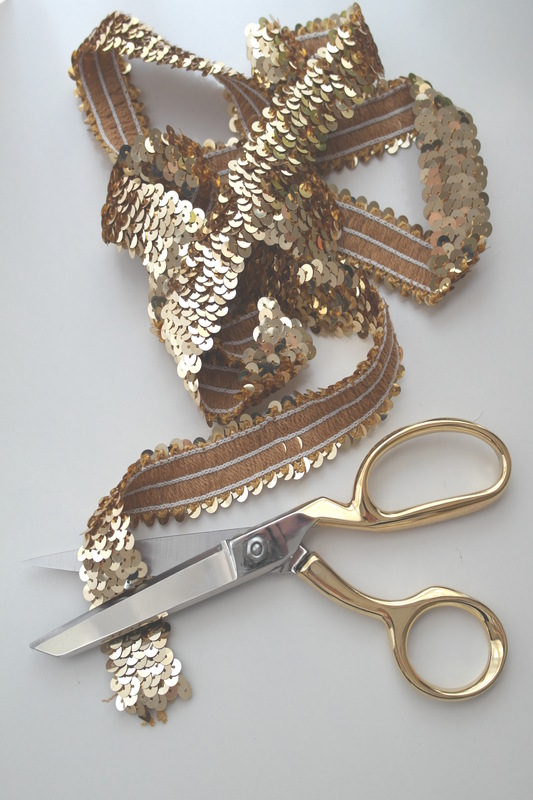 About how many yards of the sequin cording do you need for this project? =) Thanks! Where did you find the letter. I went to my local craft store(michaels) and they didn't have larger ones. Any suggestions?